When you're out on Halloween, you can't help but notice all of Gryffindors parading about. Break the mold and go as a Slytherin! Good luck and add your own unique flair to these suggestions. 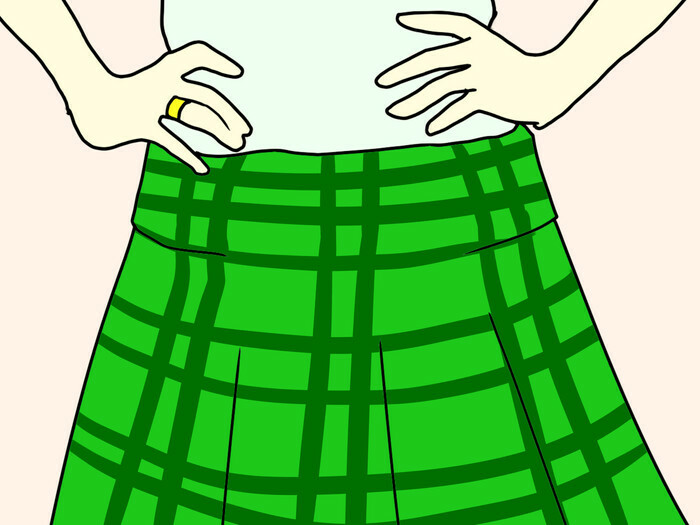 Find a plaid green skirt. This step seems kind of obvious-you're going for a preppy image but a little bit "bad" since Slytherin is "evil" (but awesome). 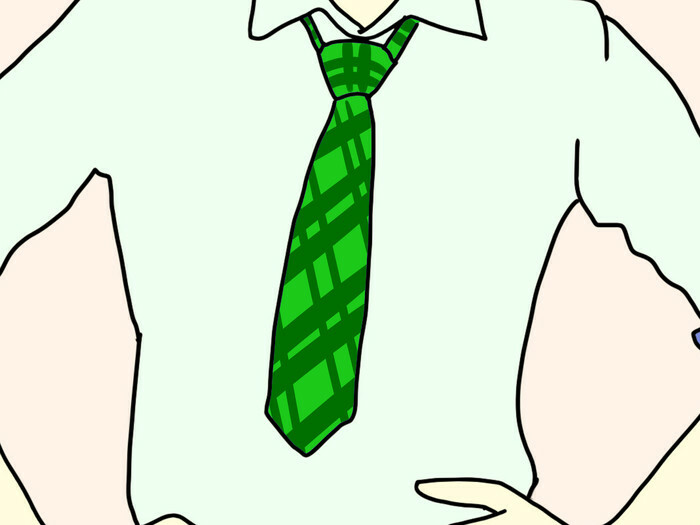 Buy a green tie. It's quite easy to find one of these--ask any guy you know or just go and buy one. 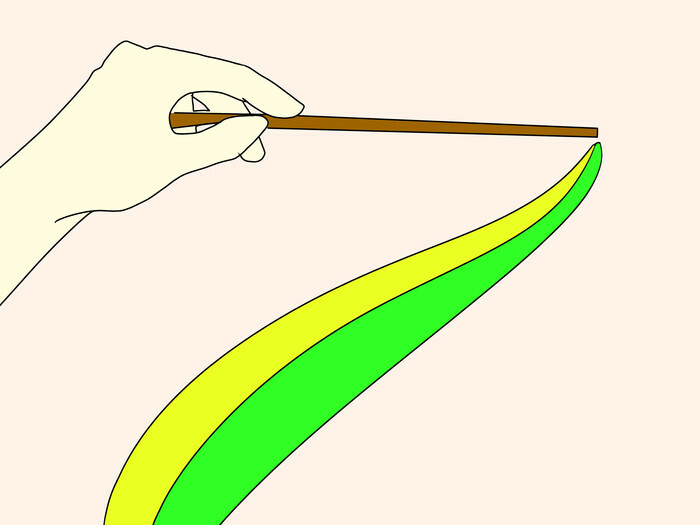 Just don't make it a purposely-Halloween-Slytherin one with the snake on it--that just screams amateur. You could also go with a scarf if it's cold. Get a blouse style top. You can just wear the standard shirt with a collar over a tank top or find something at a vintage store. Get creative! Some people will also want to have a sort of deconstructed blazer over their top. This is cool, but don't get overly preppy--try and destroy it a little bit (this is always fun). 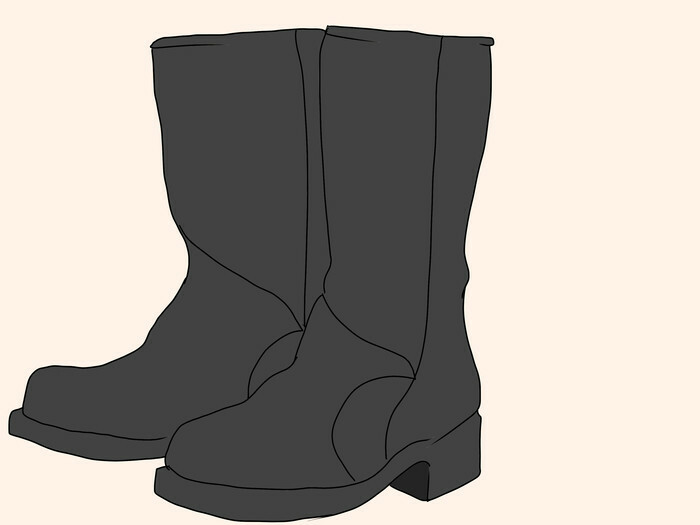 The Right Shoes Go for motorcycle boots to get more of the rebel Slytherin look, or go for black ballet flats to look preppier. Make sure they're comfortable! 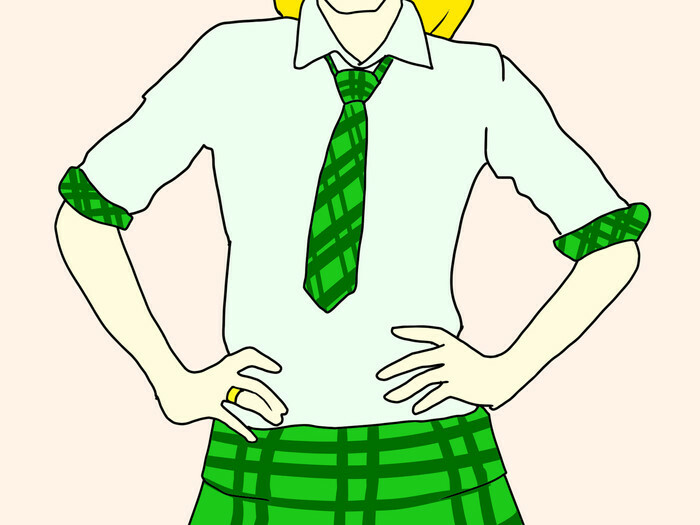 You need FISHNET tights So far you just look like a preppy person, but the fishnets instantly make you look more like a bad Slytherin, instead of a wannabe. Slytherin references You still look a bit like just a preppy who didn't know what to wear, so now is your time to embrace your inner Harry Potter geek. 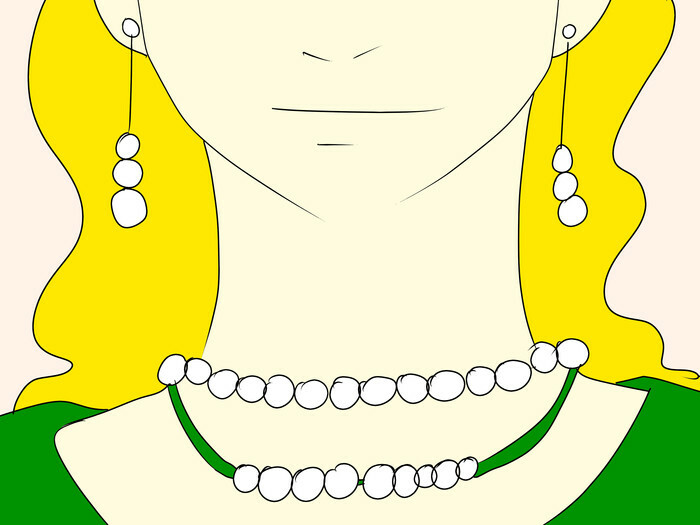 For this costume, costume jewelery is your friend--Slytherins are supposed to be more well off and sophisticated so feel free to load up on fake pearl necklaces and giant cocktail rings. 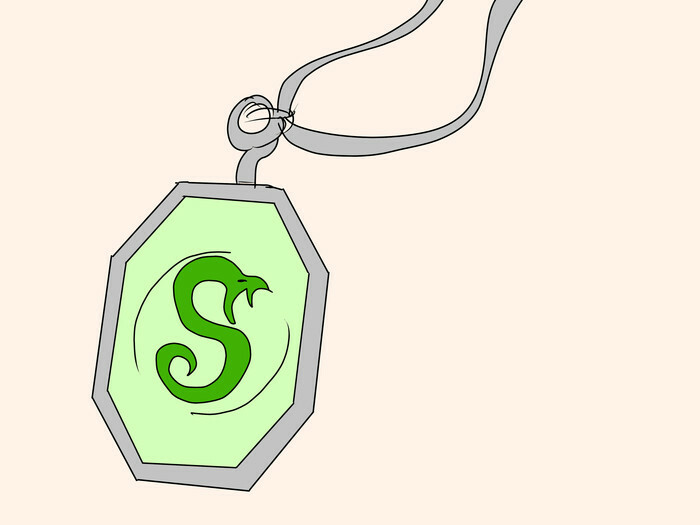 Horcruxes--make sure you get a Slytherin locket (like the one in the 6th and 7th book) and for your costume jewelry ring--see if it has a family crest on it and you can pass it off as a Marvolo Gaunt ring. If you want, you can also carry around a beat-up old book and say its Tom Riddle's diary. 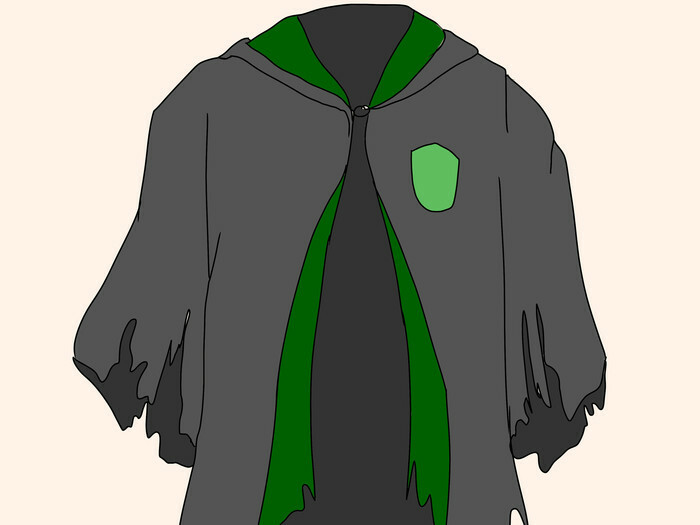 Slytherin robe--if you buy one from one of those online costume retailers, it will look amateur (of course, you can buy one as a last resort). If you have a black sheet, try to sew it together. Add a green ribbon lining and get creative in leaving a snake emblem on the robe. Make sure it doesn't drag on the ground--that would be rather disgusting. 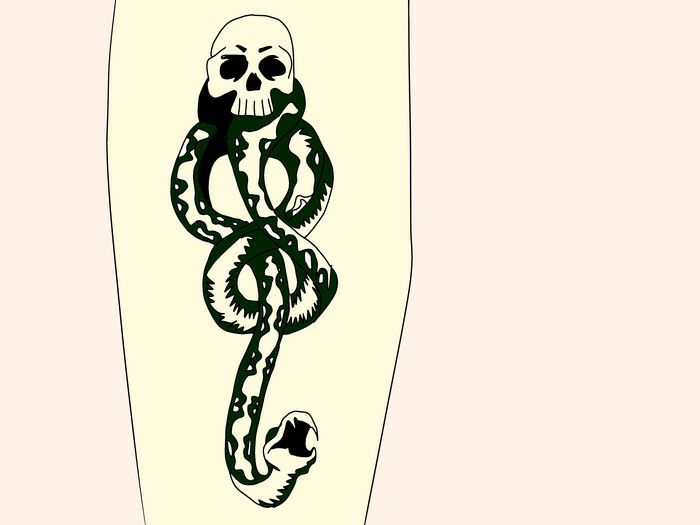 Dark Mark--every good Death Eater and Slytherin has one of these. Draw it in Sharpie (just make sure it doesn't smudge) or get a temporary tattoo. Wand--obviously this is necessary or you'll be a Muggle wannabe. Get into your costume! Don't just use it as an excuse for free candy (although that's always welcome), make sure you look unique: there's nothing worse than someone who has a similar costume as you. If you're a guy, follow the steps above, but go for classic black pants instead of the fishnets and skirt (obviously). It may be harder for you to do this costume since in my opinion, the accessories make the outfit, and obviously you're not going out there with a pearl necklace. Try a nice watch. If your friend wants to be a Slytherin with you, it'll be hard to differentiate your costumes and you may have to go out of your way to make sure you stand out. Make sure you're warm--your robe will probably ensure you of this but if you want to wear a sweater you can do that as well: there's nothing worse than being completely freezing. If it rains (always a possibility), just remember that everything's washable. And go party!!! There are always those Halloween haters out there. Some will think you're a geek, others will think you're getting way too into it, and then there are the most irritating who say "You didn't put enough effort into your costume"